Well, no one saw this coming, did they? Those of you who know me know that The Wizard of Oz (or, more accurately, Judy Garland) is very special to me. 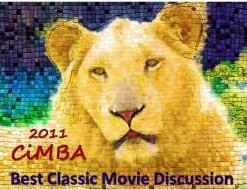 When I learned there was to be a 1939 blogathon through YAM, I actually got a bit concerned because I didn’t know if my computer battery would last for an entire Wizard of Oz post and I thought of profiling other movies. But it would be sacrilege for me not to, so I am attempting it now. The Wizard of Oz has been a part of my life since the age of 2. I watched it, wide-eyed, with my parents and apparently (though I don’t remember) wasn’t scared of anything and was more interested in watching the pretty colors and hearing “Over the Rainbow.” Two years later, when my grandmother showed me “Meet Me In St. Louis,” I became a full-fledged Judy Garland fan and have never turned back. I regularly attend the Judy Garland Festival in Grand Rapids, MN (about 3 hours plane ride from my home), and at the age of 13 I won a trivia contest there and was interviewed for NPR. Yeah. It’s pretty serious. Knowing that background, you can understand how The Wizard of Oz might be very important to me. Judy Garland’s signature film (though we’ll go into that later), and one that stayed with her right up until her very last concert, it has a place in the hearts and minds of everyone, whether they like it or not. It has had a place in our collective consciousness for 3 generations, and it showing no signs of stopping for the next, especially with the multi-annual showings on TBS that make it even more accessible for the younger generation. Its themes are timeless, and it has something for everyone, at every age. In the interest of space and readability, I am going to refrain from doing too much analysis of the movie here. I will focus on biographical aspects of the actors, and some trivia–I could write for hours on end about this movie (and I have–I once wrote a paper on the themes of transference from child to adult in The Wizard of Oz and it was about 25 pages long), but for the purposes of this blog and this blogathon, I’m keeping myself back a bit in the interest of space and readability. I’ll start with the casting and general information about the actors and their roles in this movie: The Wicked Witch of the West was played by Margaret Hamilton, who in my opinion deserved to win Best Actress (or at least Best Supporting Actress) for this movie. A former housewife turned movie actress to support her family, she was well-loved and a sweet person by all accounts. To demonstrate the kind of person she was, it is sufficient to say that throughout her life, both before and after her acting career, she taught Sunday School and kindergarten. After Oz, Hamilton continued her career in radio and television, before retiring in the late 1970s. She died in 1985. Another reason I think she should have gotten some kind of award for this role is the scene where she disappears after the famous line “I’ll get you, my pretty, and your little dog too!” For this scene, Hamilton was to step onto a hidden elevator, and be carried down under the scenery. During a rehearsal, when she stepped on the elevator door, there was an electrical malfunction and since Hamilton’s makeup was copper-toned, she ended up with horrendous burns on her face and had to be taken out of the picture for a number of weeks. If that doesn’t put you in the running for an Oscar, I don’t know what does. The lovely Jack Haley was not the first choice for the Tin Man. The original choice was actually Ray Bolger, who ended up playing the Scarecrow. Bolger expressed his preference for the Scarecrow due to his idol, Fred Stone, having played the role on the stage, and an actor by the name of Buddy Ebsen (Beverly Hillbillies, anyone? 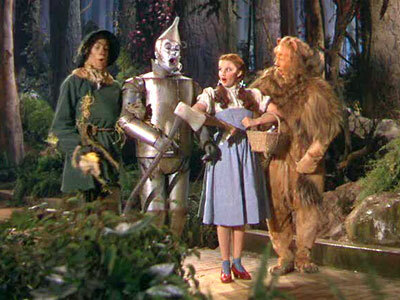 ), who was originally slated to play the Scarecrow, was switched to the Tin Man. He was all set to do the picture until the aluminum powder in his makeup got into his lungs and lay him up in the hospital, putting him out of the picture. Are you sensing a theme? Forget “Poltergeist,” I swear this film had a curse. They brought in Jack Haley, a vaudeville actor who had done a number of musical pictures in the early 1930’s, to replace Ebsen, and the brilliant men in the makeup department decided to change aluminum powder to aluminum paste, thereby rendering Haley presumably safe. Phew. But then he got an eye infection. See what I mean? Haley’s work in Oz was his true masterpiece, and though he continued to act in pictures and in television and radio, he never quite matched what he did with Oz. He died in 1979. Ray Bolger’s preference for the Scarecrow, as I mentioned in the previous paragraph, was due to his idol, Fred Stone, having played the role on the stage. A brilliant dancer, he had been on Broadway in the early 1930’s, and signed with MGM in 1936. Prior to making The Wizard of Oz, and he had portrayed himself in The Great Ziegfeld, and in 1946 Bolger went on to do another film with Judy Garland, “The Harvey Girls,” and also made an appearance on Judy’s television series in 1963. He was the last surviving main cast member of Oz, until his death in 1987. Bert Lahr was a successful actor in vaudeville and on the stage, who had worked with the great British comedienne Beatrice Lillie in The Show is On. 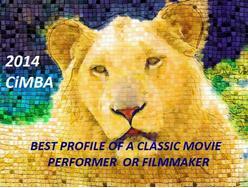 He was chosen for this role early on in the film’s planning stages, likely due to his lion-like looks and charm. His costume was composed of real lion fur and was said to weigh upwards of 50 pounds, prompting him to complain outwardly of the heat under the hot MGM lights. He continued to act on the stage through the 1960’s, participating notably a rather disastrous run of Waiting for Godot in 1956, and passed away due to cancer in 1967. A trivia bit about the scene with the Cowardly Lion: during rehearsals, Judy, then 16, was known for bursting into adolescent giggles. At one particular one, when the lion makes his first entrance and Judy slaps him on the nose, she couldn’t get a take without laughing. Apparently, Victor Fleming came down and, in an event that could never happen today without Fleming getting indicted for child abuse, slapped Judy across the face to get her to stop laughing. During the next take, Judy did not outwardly laugh, but you can see that Fleming had not completely won–Judy pushes Toto in front of her face to cover a visible smile. Watch for it. 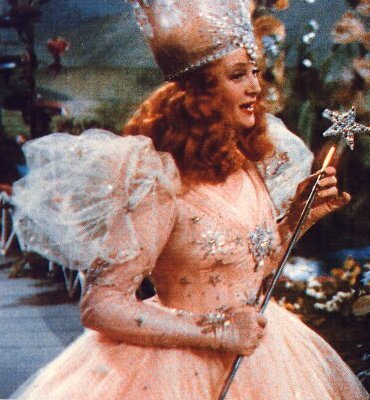 Billie Burke, who had been married to Florenz Ziegfeld until his death in 1932, seemed the perfect choice for the gentle, slightly dotty Glinda, the Good Witch of the North. After a wonderful career on Broadway, she had played very successfully opposite Jean Harlow in 1933’s “Dinner at Eight,” and had made “Everybody Sing” with Judy Garland in 1938 (which, by the way, is one of my favorites). 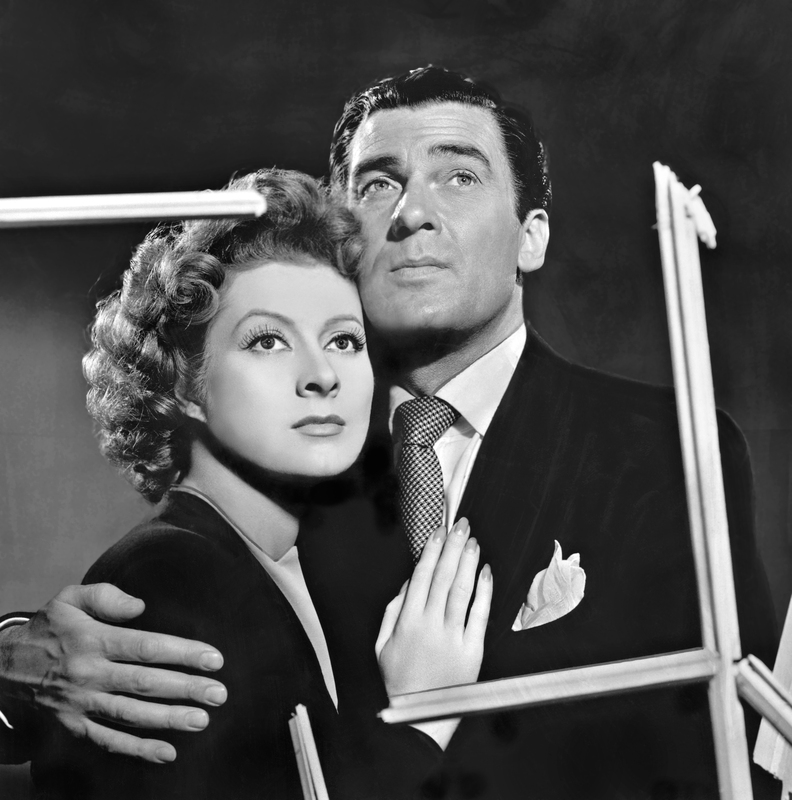 Typically playing dizzy, slightly neurotic women, she was nominated for an Oscar in 1938 for Merrily We Live. She made a number of other MGM films and acted on the stage until her retirement in 1960. She died in 1970. The Munchkins are credited in the film as “The Singer Midgets.” A good portion of the munchkins were indeed performers with Leo Singer, a showman from Vienna who had a troupe of little people working in entertainment there. However, as Singer’s troupe only comprised about 30 little people, MGM hired him to find more to put in the film. There are a grand total of 124 munchkins in the film, along with a few children. 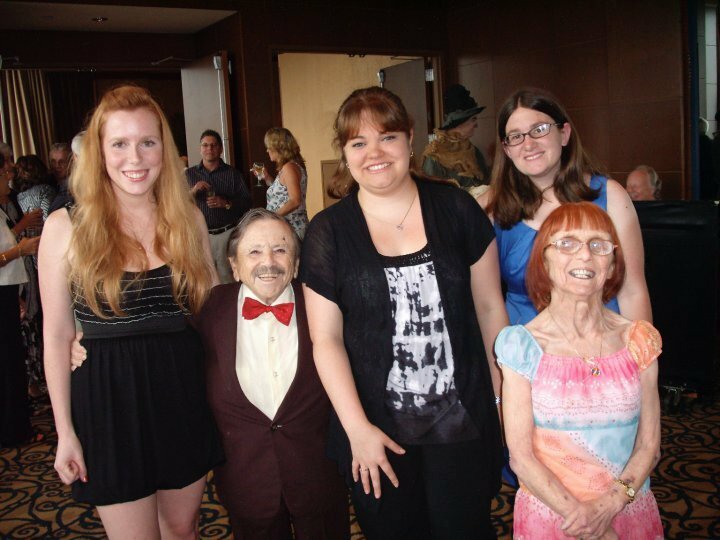 4 of the original little people are still living today, and received a star on the Walk of Fame in 2007. Some friends of mine and me at the Judy Garland Festival, with Jerry Maren (the Lollipop Kid munchkin) and his wife Elizabeth. Judy Garland came from a vaudeville family, making her stage debut at the age of 2 and a half, singing “Jingle Bells” at her father’s theater in Grand Rapids, MN. She continued acting with her sisters in their vaudeville routine until 1935, when she was signed to MGM at the age of 13. She began her MGM career with a number of small films, and then began to take off with a succession of films with Mickey Rooney, namely Thoroughbreds Don’t Cry in 1937 and Love Finds Andy Hardy in 1938. The Wizard of Oz was her 16th film with MGM. Performing with daughter Liza at the London Palladium, 1964. And Judy’s very last performance of “Over the Rainbow,” on March 25, 1969 in Copenhagen. She died less than 2 months later. Shortly after the filming of The Wizard of Oz, MGM began supplying Judy with a cocktail of pills, to put her to sleep, wake her up, and make her lose weight. She soon became addicted, and her addiction to pills is now what many people think of when they think of Judy’s private life. 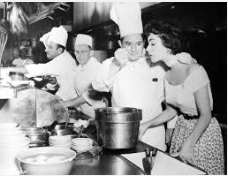 Due to her addiction and growing difficulty with the side effects in her private life, Judy began to become unreliable on the set and was fired from MGM in 1950. She began a very successful concert career, and made a comeback to films with A Star is Born in 1954, which garnered her an Oscar nomination. Now, people say that The Wizard of Oz is Judy’s signature film. Though I think for most audiences it is, I don’t believe it’s her best. That honor, in my book, would have to go to “A Star is Born,” her comeback in 1954. But “Over the Rainbow” saved her. I don’t think she would have lived as long had she not lived for this song. 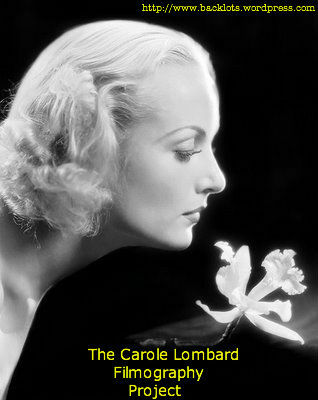 She died of an accidental Seconal overdose at her home in London, on June 22, 1969, aged 47. The Wizard of Oz is literally available everywhere. But I would venture to say that there is not one person reading this who has not seen it, multiple times. 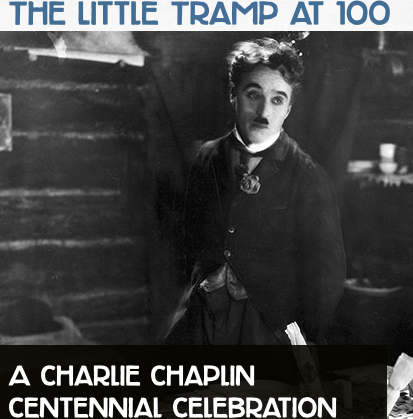 It is a true institution in this country and the world, and it holds a very important place in the history of film. 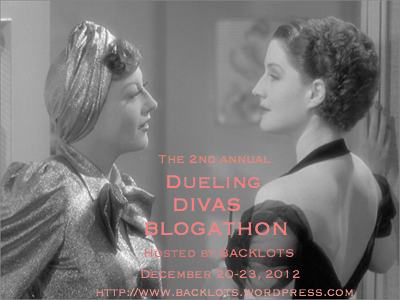 Thank you to YAM for hosting this 1939 blogathon, and happy watching! 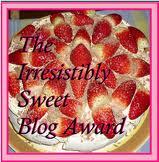 This entry was posted in Blogathons. Bookmark the permalink. Any idea on what to start and what to continue with? Thanks Amy! Oh yes, you should DEFINITELY watch more Judy movies, she is extraordinary. My recommendation would be to start with “Meet Me in St. Louis,” her second most famous film, and then branch out into “A Star is Born,” which is my personal favorite. Her early work is interesting because you can see how immensely talented she was, she was only 16 when she made Oz, and her first film with MGM was when she was 13, singing with Deanna Durbin in a little short called “Every Sunday.” If you can get a hold of that, it’s worth watching. 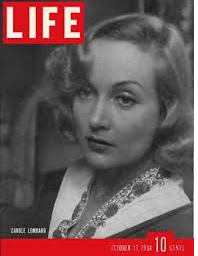 Also, watch her movies with Gene Kelly–“For Me and My Gal” (Gene Kelly’s film debut), “The Pirate” (probably the technically weakest of the three, but I adore it!) and “Summer Stock.” That’s a starting point. Let me know if you want any more recommendations, I’ve seen every one of her movies multiple times, obviously. I’m a huge fan. I love this movie so! And I think it’s fab you guys nerd out at a Judy garland convention. 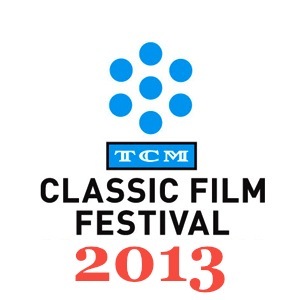 More classic film conventions, please! Also, the Margaret Hamilton Maxwell House commercial is amazing! I know, we’re completely nuts. But hey, I’ve met June Allyson, Jane Powell, and the munchkins, so I think I have it pretty good! Isn’t that Maxwell House commercial priceless? I adore her. I actually have a CD of Margaret Hamilton giving an interview at the first Judy Garland Festival in 1979, and she’s SO SWEET. I would have loved to have met her. I admit that somewhere over the rainbow is not one of my favorite judy garland songs (though she is one of my favorite singers and also the person who jumpstarted by interest in classic film) but it really is amazing to hear how her interpretation changed over the years. I’m glad you wrote on this since it means so much to you! Also love that Maxwell commercial, I’d never seen it before. Is there like a place… you know “the place” for Judy Garland’s fans to visit? You know, something like Graceland for Presley fans or Abbey Road. And is it really true that there was a tornado in Kansas when she died? ‘Coz that’d be kinda freaky. The Judy Garland Festival in Grand Rapids, MN (her hometown) is pretty much where Judy fandom comes together, LOL. It’s held every summer for 3 days, and they have special guests and activities (I met June Allyson, Jane Powell, and Mickey Rooney there, and also Judy’s daughter Lorna), and it’s usually very well put-together. I enjoy it, I’ve been 4 times–the first time when I was 12, then again when I was 13 and 14, and I just went this past summer. 🙂 There’s also a Wizard of Oz festival in Kansas and another one in New York, and a lot of people go to those festivals too. 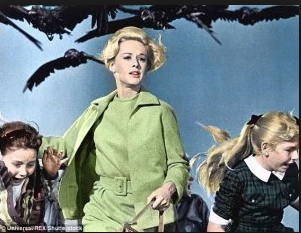 And yes, there was indeed a tornado in Kansas on the day that Judy died. Freaky, right? Thanks Meredith! Isn’t that Maxwell House commercial awesome? She did a bunch of them, my favorite one is this one: http://www.youtube.com/watch?v=Rzic86OWnS8&playnext=1&list=PL8A4C73191FF32AA0 LOL. So yeah, even though “Over the Rainbow” is her signature, it’s not her best song.